Based on the skills of our adept professionals and skilled workers, we are presenting a commendable range of Cellulose Sponge Spears. 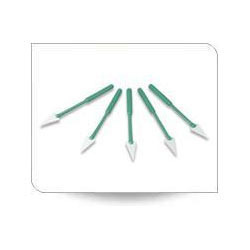 The offered sponge spear is used by surgeons to wipe blood and soak fluids during ophthalmic operation. Also, our sponge spear is used to wipe blood and soak fluids. This sponge spear is available with us in diverse sizes and other specifications to meet the specific requirements of customers. As a recognized organization, we are offering an excellent quality Cellulose Sponge Drain. 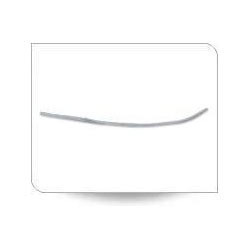 Our offered sponge drain is used by doctors or surgeons to wipe blood and soak fluids in time of ophthalmic operation or other treatments. The provided sponge drain is accessible from us on several sizes & other specifications as per the variegated demand of clientele. As well, these sponge drains is basically used in the medical centers like hospitals, clinics and surgical centers for cleaning and removing necrotic tissue while operating eye surgery. Looking for Ophthalmic Surgical Sponges ?